Welcome back, Rachel! As both our readers now know, I was fascinated by your memoir, Riding the Bus with My Sister, a work that helped you come to terms with your own lack of acceptance of your sister’s lifestyle. 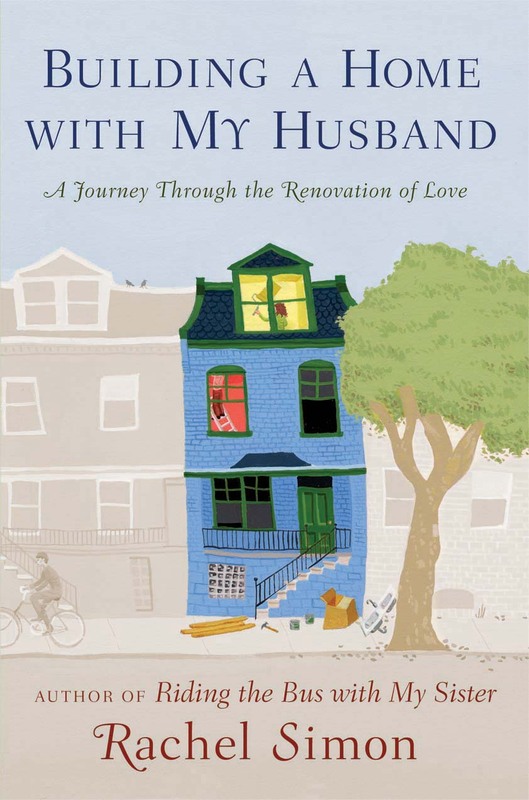 Building a Home with My Husband (Home from here on) your most recent release, was also inspired and impacted by your personal journey. The memoir is based on the renovation of your current home, a choice you felt constrained to make at the time. Are you glad you stayed? Our home is very lovely now, designed to fit my lifestyle and my husband’s. But the journey I went on as a result of the renovation ended up being about more than the house. It became a metaphor for repairing relationships, which I’ve done with most of the key people in my life, including my husband, my sister, my parents, and myself. (As an example, my husband and I lived together, without being married, for thirteen years, and then broke up. We were apart for six, then reconnected, repaired our bond, and got married.) So really it’s a book about love, though it uses the storyline of the repair of a house. I understand Home is soon to be re-released in paperback but under a new title. Due to the recession and a decline in reader sales, 2009 was a very difficult year for pretty much everyone who was publishing a book. This is why you’ve heard of many layoffs in publishing, and why the competition for selling a new book has gotten even more extreme. 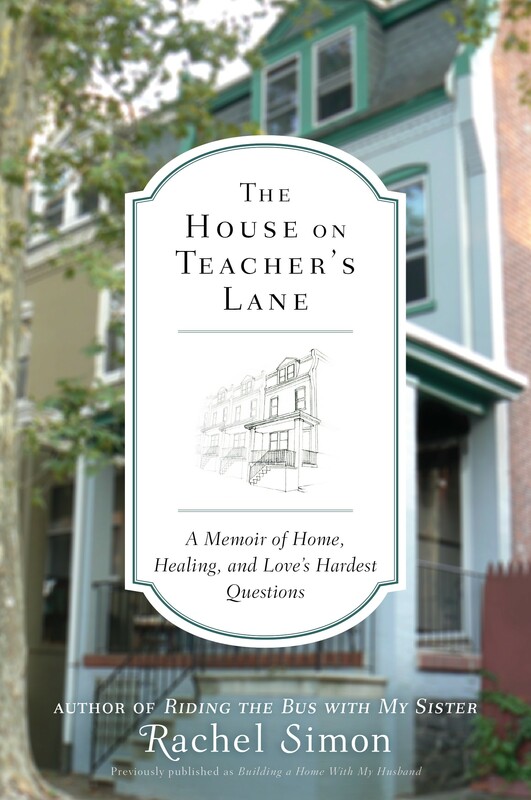 In the case of Home, there was also the problem of the poor construction/renovation environment, and even though the book is more about the heart than about remodeling, the original title came to be viewed as a liability. The publisher decided to repackage it under a new title and new cover. And you were okay with that? I used to think “choose your battles.” But I’ve come to feel that it’s really important to be agreeable. That is, “have no battles.” I can still tell my editor, very tactfully, that I don’t understand why they want this or that, but once I do understand their rationale for whatever they want – and in this case, I did, immediately – I cooperate quickly and fully. After all, if the editor is annoyed with me, she’s less likely to push my book at sales meetings, or acquire my next title. Besides, I’d rather have the book released with a new title in paperback than not be released at all, a fate that has befallen several writer friends of mine. This is actually a more accurate title, since the book has prompted many readers to ask themselves those very hard questions about love, like how and when one can forgive, keep one’s heart open, learn to define love less and myth and more as reality, etc. I made a book trailer that clarifies the book’s true focus. Right now the trailer has the original title and cover, since the hardback is still available. But I’ll change the trailer accordingly in June 2010, when the paperback is released. Home seems like quite a different mindset than the premise for your most recently contracted work, The Story of Beautiful Girl. For one thing, it’s a novel. Can you tell us the premise? Girl begins in the mid-1960’s and is about Lynnie, a beautiful white woman with an intellectual disability and selective mutism, and her sweetheart Homan, an African American deaf man. Both are institutionalized. One night they escape, and find refuge at the home of a retired schoolteacher, Martha. The couple, however, is not alone; Lynnie has just borne a child. The authorities catch up to them; Homan escapes, Lynnie is caught, and just before she is forcibly returned to The School for the Incurable and Feebleminded, she manages to whisper to Martha: “Hide her.” And so begins the tale of three lives desperate to reconnect. Sounds like a captivating read! I can’t wait! Did anyone in particular inspire the characters of Lynnie, Homan and Martha? Homan was inspired by a real person who I read about in an obscure book some years ago. The authorities found him wandering in an alley in 1945, when he was probably fifteen, and even though they realized he was deaf, they didn’t send him to a deaf school. Instead they put him in an institution for people with developmental disabilities. He remained stuck in the system – where he was given a number because no one knew his name – for the rest of his very long life. It’s an absolutely tragic story, and after I read it, I thought, I wonder what kind of life he would have had if he’d fallen in love and escaped? As for the other two characters, they just came to me, though I suspect Lynnie was informed by the many people I’ve met on my travels as a speaker, and Martha by my having been a teacher myself. 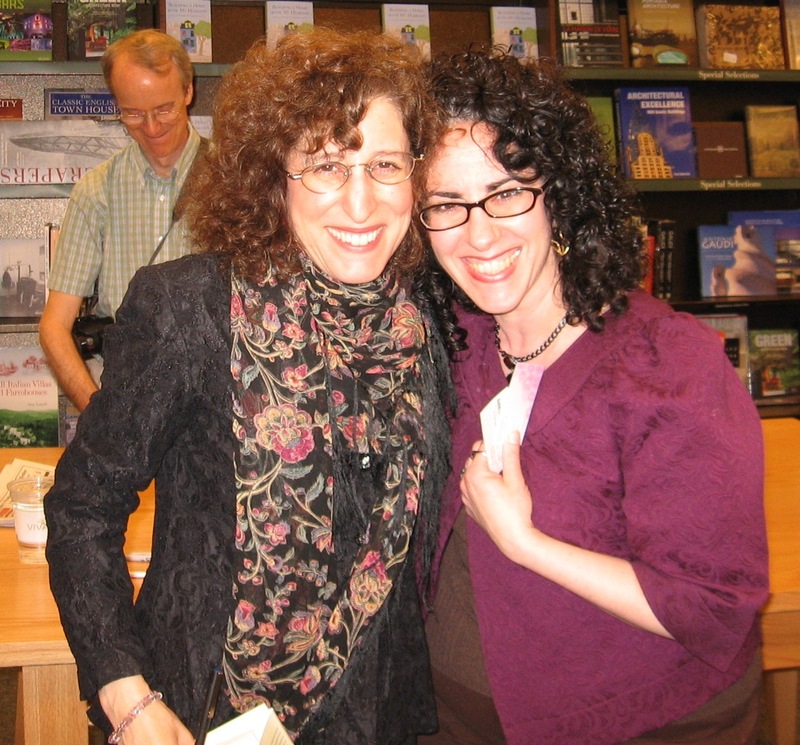 Tell us about more about Rachel Simon, the writer and maybe a little about your routine. I’m fifty years old and live in Delware with my husband. I decided to be a writer when I was seven, which was kind of an odd decision since I didn’t know any writers. But my mother was a librarian and my father a teacher, so I guess that’s where it came from. I also moved a lot as a child, which led to daily letter-writing, and that paved the way for plays, novels, and personal essays. Interestingly, though, I chose not to major in English when I was in college; I found that Anthropology was better suited to my writerly needs, since it taught me how to view the world through the eyes of people unlike myself. Although my first love was fiction, I eventually branched out into memoir, and now feel equally comfortable in both realms. But please don’t get the idea that the writing always flowed smoothly, or that I published my work without struggle. 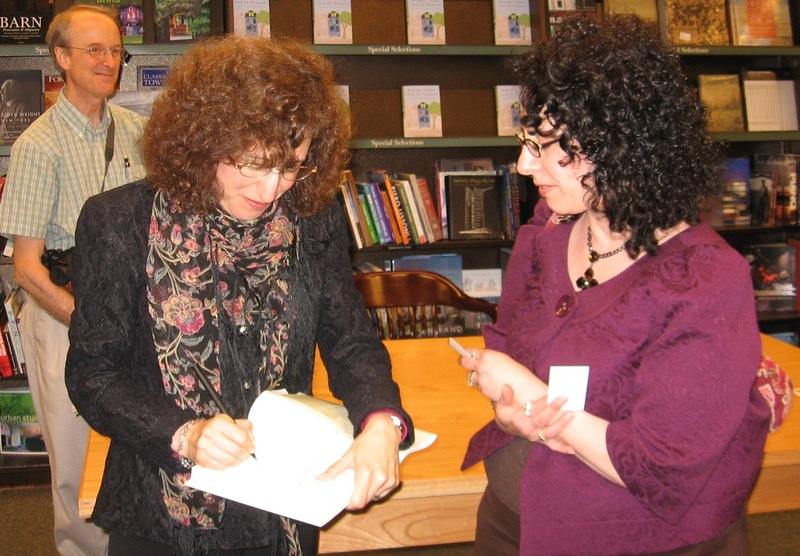 I’ve had periods of writer’s block, and have written many more books than I’ve sold. Yet I press on, year after year, since I much prefer the writer’s lifestyle to all others, and enjoy being my own boss. The creative process is also of primary importance to me; life just wouldn’t feel all that meaningful if I weren’t writing stories. I should add that it helps that I’m also not all that interested in the material world. Once I realized that the financial rewards would be unpredictable and erratic, I learned to live very modestly, so what money I did earn could last as long as possible. All that said, I’ve been very lucky. I sold my first book at age twenty-nine without an agent (though have been agented since), I’ve received several grants that have allowed me to cut back on or even quit day jobs, I’ve watched a number of my ideas get adapted for stage, radio, and television, I’ve had a bestseller, I’ve developed a side career as a public speaker, and I’ve spent most of my adult years with a loving, supportive partner who values the artist’s life as much as I do. I’ve also had the very good fortune of being able to write without a day job for the last three years, and at the moment it looks like I’ll be able to sustain that for at least three more. As for my routine, it depends whether I’m in a first draft or revisions. For first drafts I tend to write about four hours a day, trying to get 6-10 pages out at a time. (I write by hand, in a notebook, sitting in a rocking chair by my window. Then I type the draft into the computer. It’s the same way I used to write by hand and then use a typewriter, only now I can skip the White-Out.) For revisions, I write 8-12 hours a day, on a laptop that can’t be hooked up to the internet. That way I resist all the interruptions that keep people from getting their work done. When do you write? It really varies, depending on the phase and project I’m in. But I always begin during the day, usually in the morning, though sometimes right after lunch. What do you like best about it? Everything. The lifestyle, the privacy with my thoughts, the opportunity to create something where there was nothing, the sense that I can find meaning and purpose in my life. I feel as if I never left school because I can keep having new experiences, learning about new subjects, developing new writing skills, and coming to new insights. Writing keeps me excited about life. It makes me curious and open-minded, and inspires me to be compassionate. It is, I truly feel, the fountain of youth. Anything you don’t? The financial uncertainty is really rough, and not well-suited to my personality, because I’m a natural worrier. I realized in my thirties that if I wanted to stick with it, I just had to accept that I wasn’t naturally meant for such a feast-or-famine existence, but that I had to find ways to make my peace with it. Mostly I do that by saving every penny I make and living very frugally. It’s also helped to have gotten married, which I did at age 41. Having two incomes, modest though they are, allows us to put my income toward retirement while living on his. He gets medical insurance too, and that’s a great help. Do you still teach? I taught as a creative writing adjunct at various colleges until 2007, but then was able to write full-time. On occasion, I do teach writing privately. How does one impact the other, assuming they do? I loved teaching college, but now that I’m not, I find that I feel freer as a writer. I guess I felt, on some unconscious level, that I needed to write a certain way so colleges would like me, and therefore rehire me every year. Now I can make my choices about my subject matter and style according to my own standards. This has helped me become more productive because I feel less self-conscious. However, I really miss mentoring young people. That has been a real loss. But I suppose it’s helped my writing in that I feel very in touch with loss, and that has helped me write about characters who have also lost something they loved. Anything in particular you’d like readers to know about you that we haven’t covered? Actually, I think what I’d like to say in ending is more about you and your readers. It’s very easy to get discouraged about writing. It’s hard to find the time to put in your hours; your friends and family don’t often understand the number of years it takes to acquire the skills of a professional; you might struggle with your own impatience, ego, awkwardness with words, addiction to cliché, or any other writerly impediment; you’ll find there’s no guidebook to navigating the vast and mysterious terrain of of publishing; and the sad truth is that the sale of your first book, while launching your career, might well not lead to financial gain or even recognition. But if you love to write, then it’s worth it to keep going. The rewards are great and encompass all sides of yourself: the personal, intellectual, spiritual, social, and psychological. I often say that writing is a test of your character, and what I really mean is that, if you stick with it, pushing yourself to keep growing, both on the page and in your heart, you will become a better person. Aside from all this, it’s fun. Thank you, Rachel, for being here. Having you has been an absolute honor. Now, it’s your turn, readers! Rachel will be happy to answer questions! Leave them in the form of a comment or send them to me at joanna@joannaaislinn.com. I will forward questions to Rachel, then post her responses in a blog the following week (day/date to be determined). Thanks so much for joining us and don’t forget to come back! Reminder: If you love this blog–one could hope :)–but prefer fewer e-mails: make sure to subscribe! (You’ll get auto-notice on every post.) Eventually, I’ll be making all announcements from here and will create a separate e-mail list of those who do subscribe (remember to let me know so that you don’t get double notification). Your stories sound so inspirational. Having restored an old house myself (along with my hubby), I love the way you’ve chosen to make it a metaphor for relationships. Thanks again, ladies, for a great interview. Very inspirational! Thank you both very much! Oh what a treat for me to read about your characters, Rachel. As a former social worker, I did work with the developmentally disabled and am so excited to know your books have met with success. I tend to write about the disabled population. As a pre-pubbed author, knowing there are agents and publishers willing to accept well-written and poignant stories with disabled main characters gives me hope beyond the Milky Way! Thank you for sharing so much of yourself with honesty and humor. And Joanna, sister of mine, great interview and you are a rare treasure reading your guests works. Somethin’ special you are!